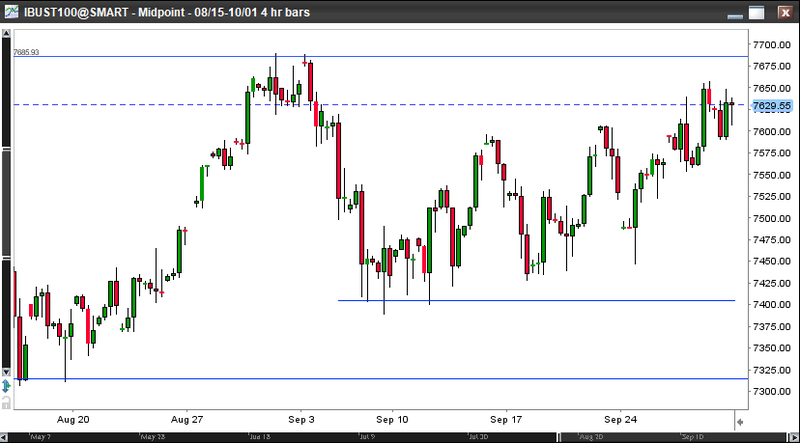 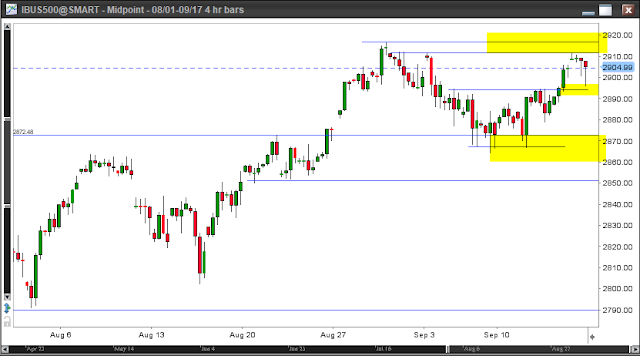 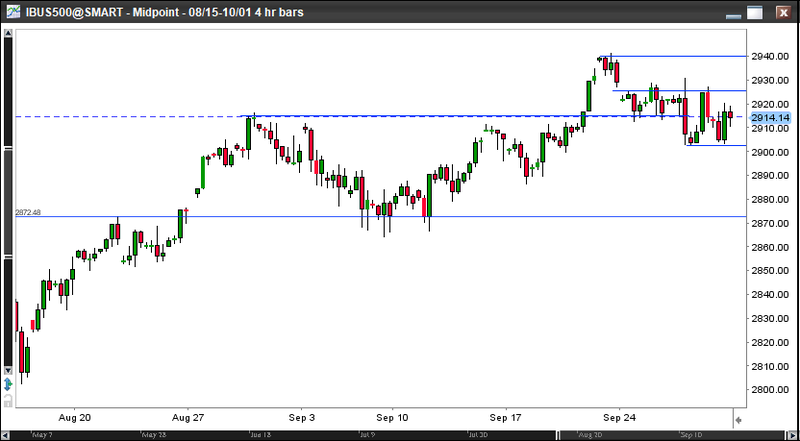 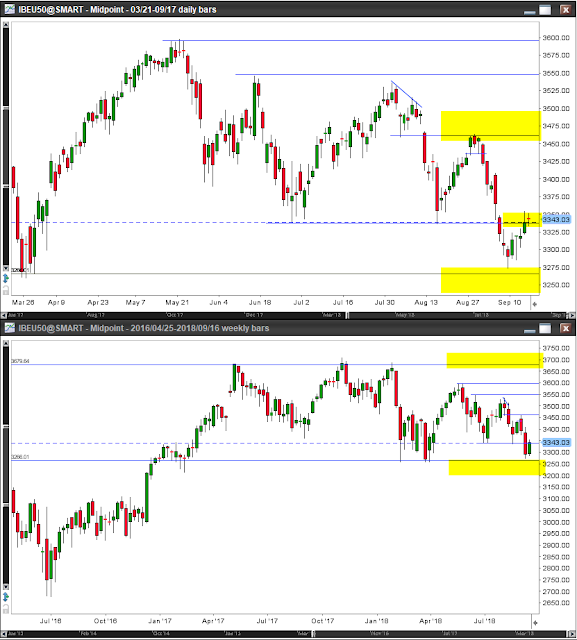 Dip in US equities seems to be short lived as both SP500 and NQ was up in the week forming a higher swing low. 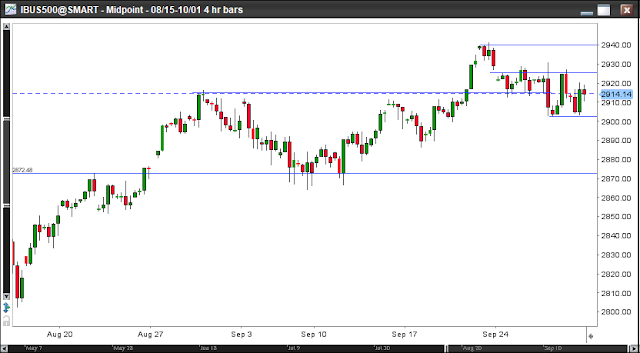 We have to see new highs before declaring that the correction is over. 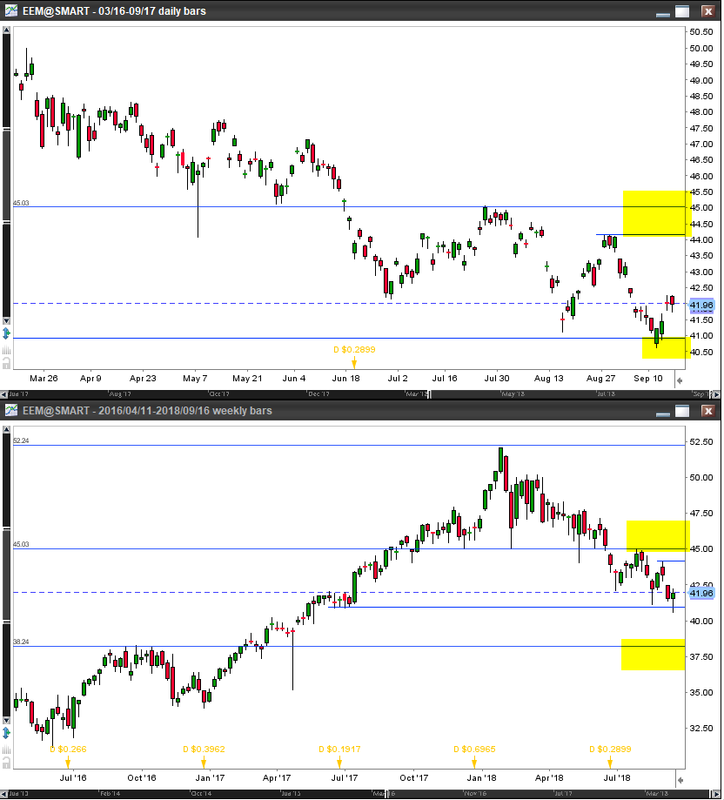 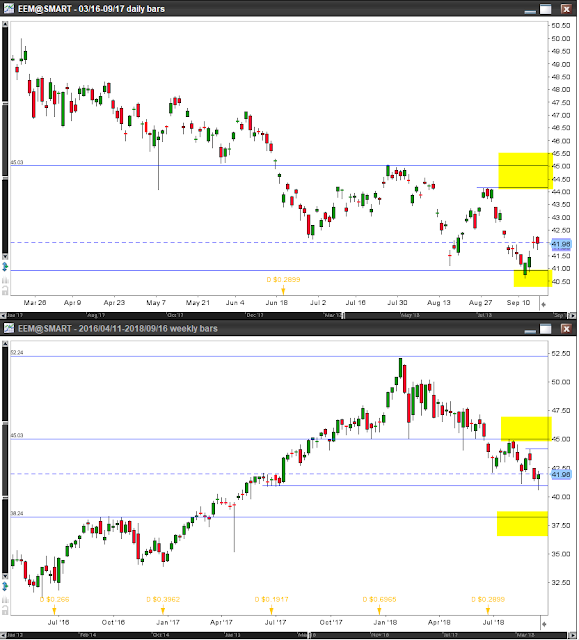 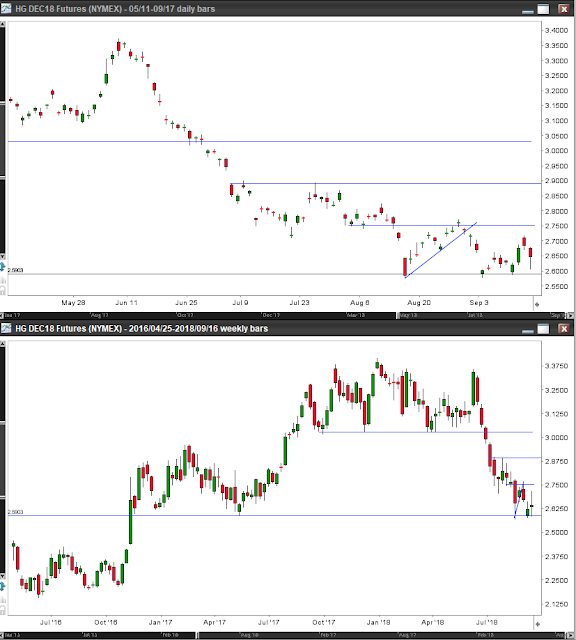 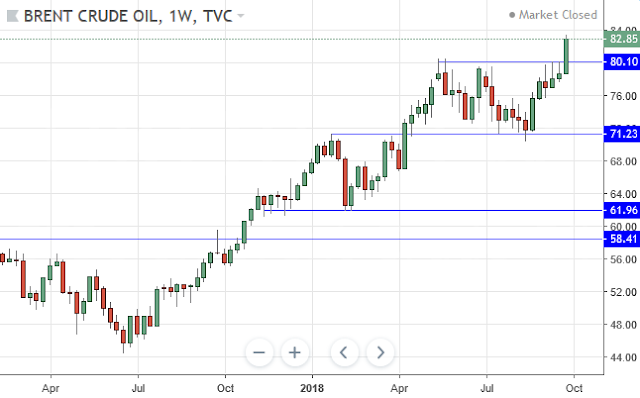 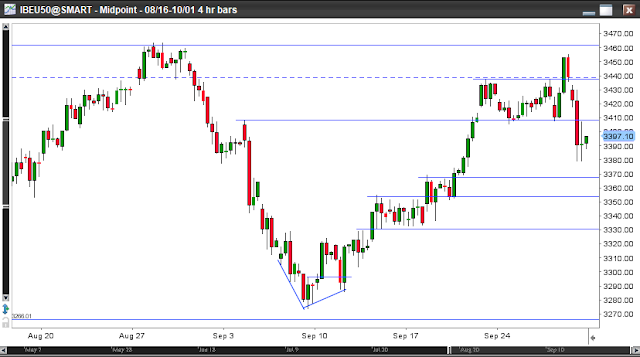 European equities bounced back just before touching the March lows and now are in a supply zone that could be a bull flag or consolidation before reversal. Emerging markets had some relief in the second half of the week, but the picture is still very bearish. 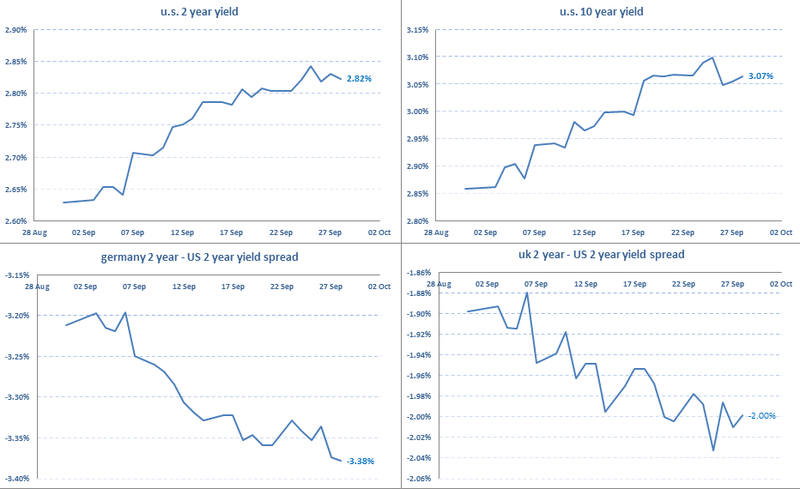 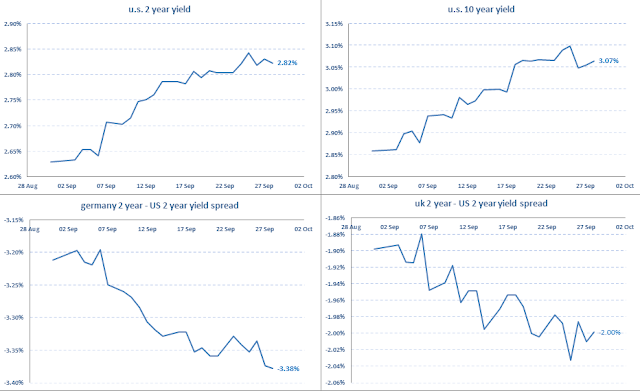 US yields are up. 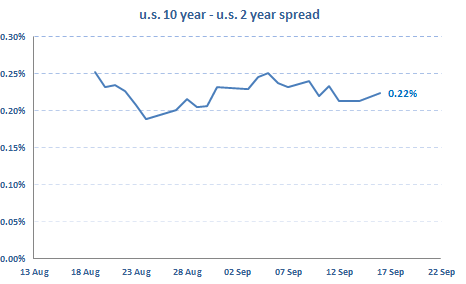 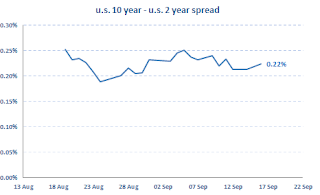 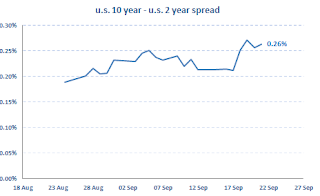 The 2y-10y spread remained within the 0.20-0.25% range. 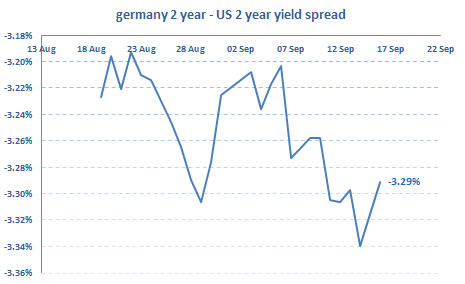 The Geman-US 2y spread widened which is not a good omen for the Euro. 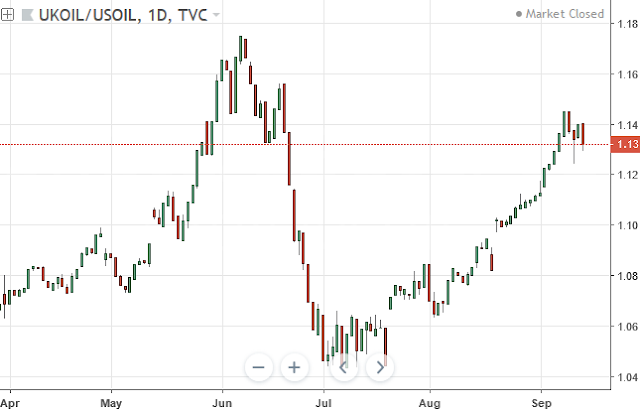 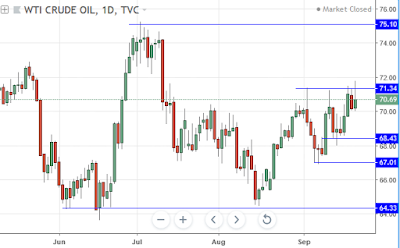 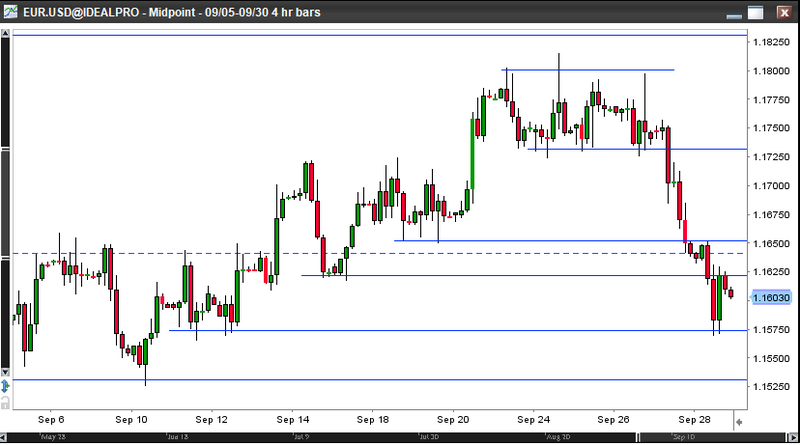 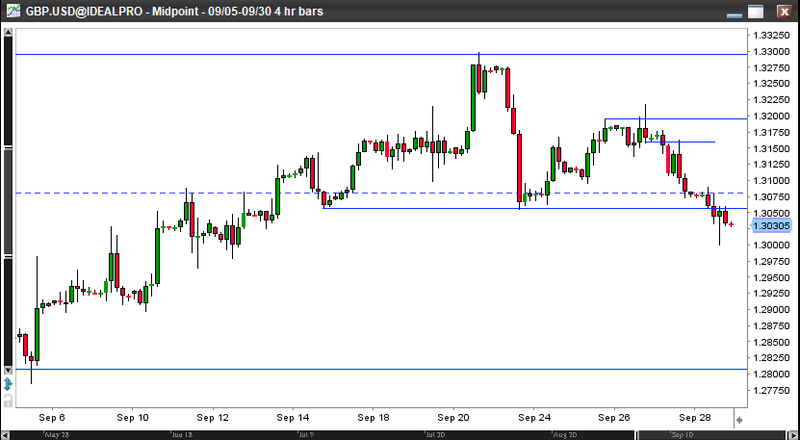 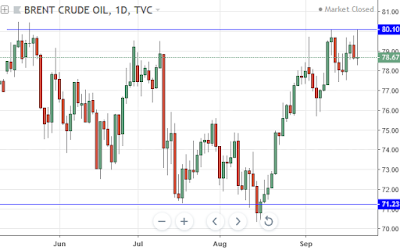 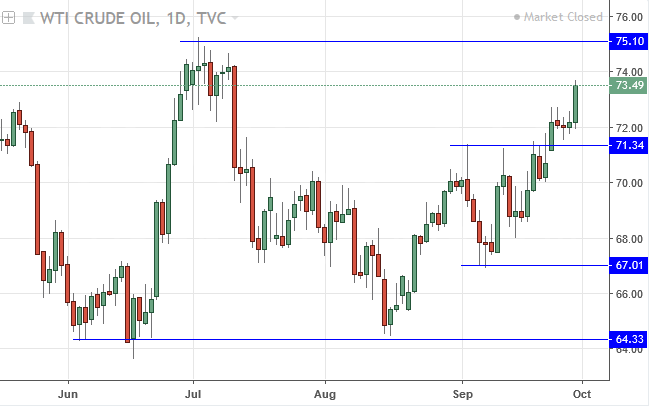 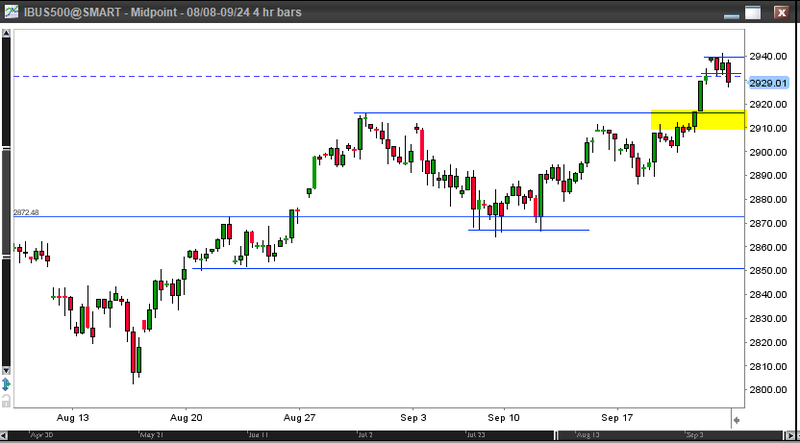 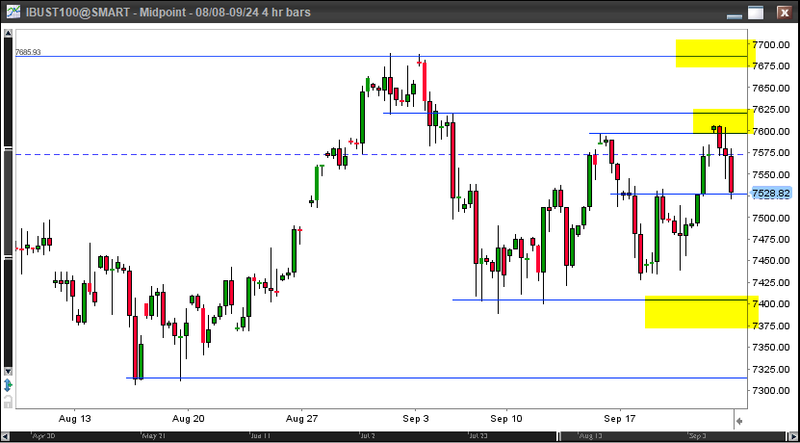 WTI is still trading within the 64-75 range, whereas Brent bounced back from the 80.00 resistance. 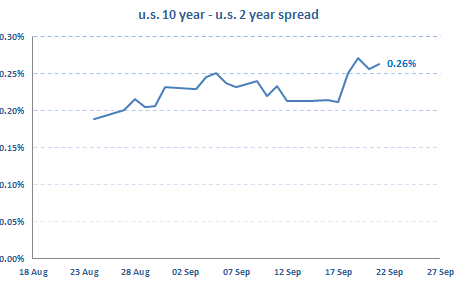 Due to the Iran sanction the Brent-WTI spread is still going up. 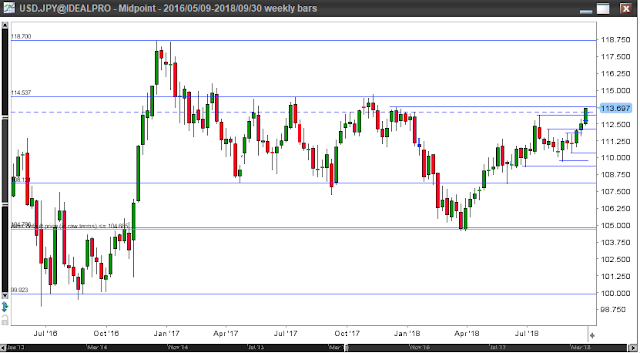 Copper is at 2.60 very important support level that is the May 2017 low. 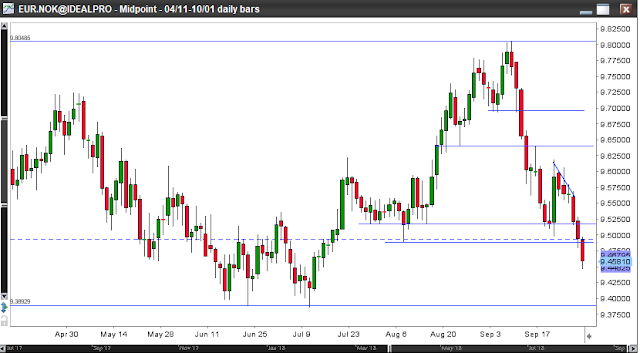 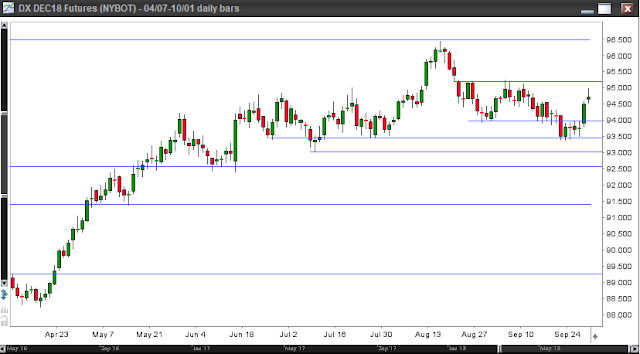 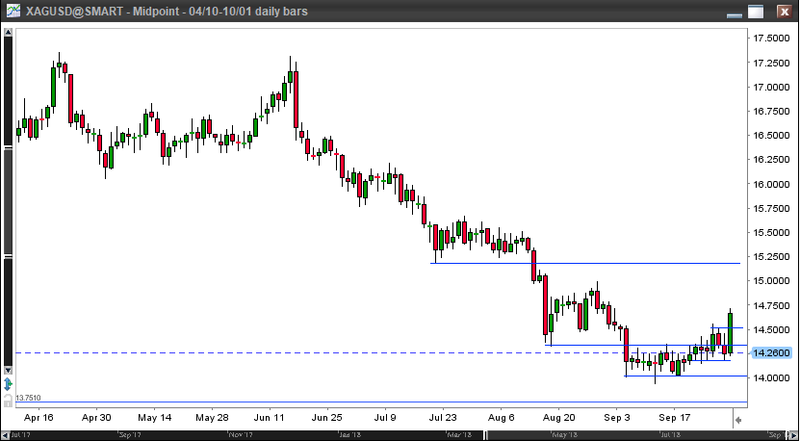 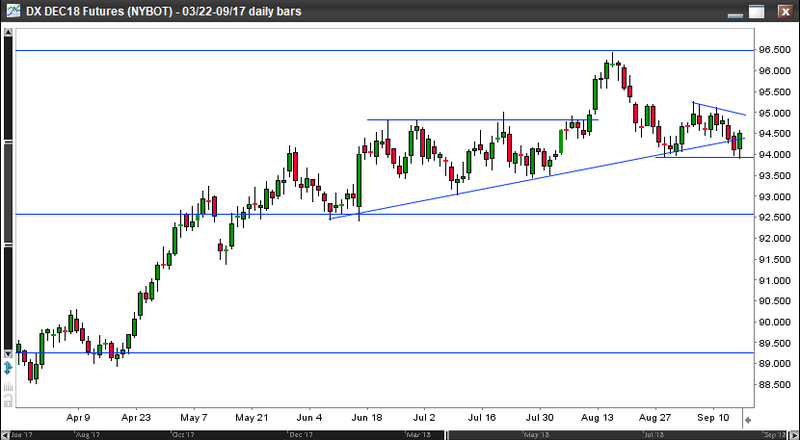 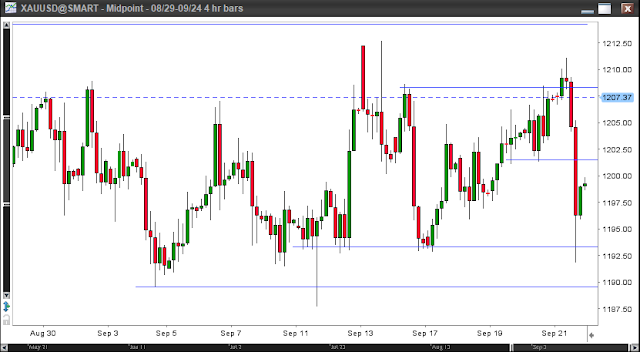 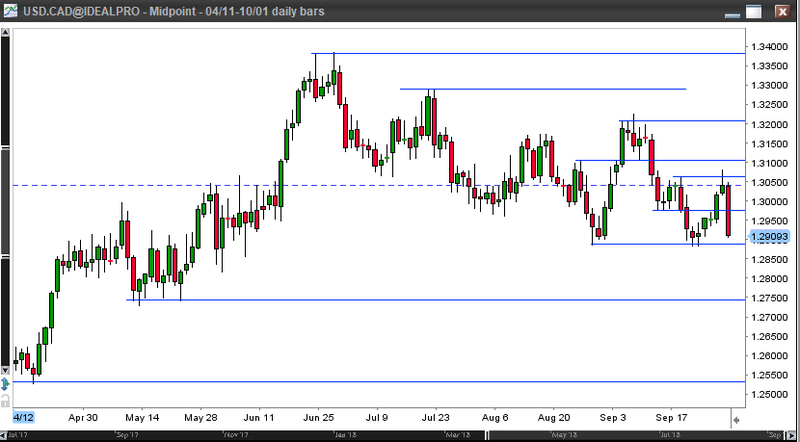 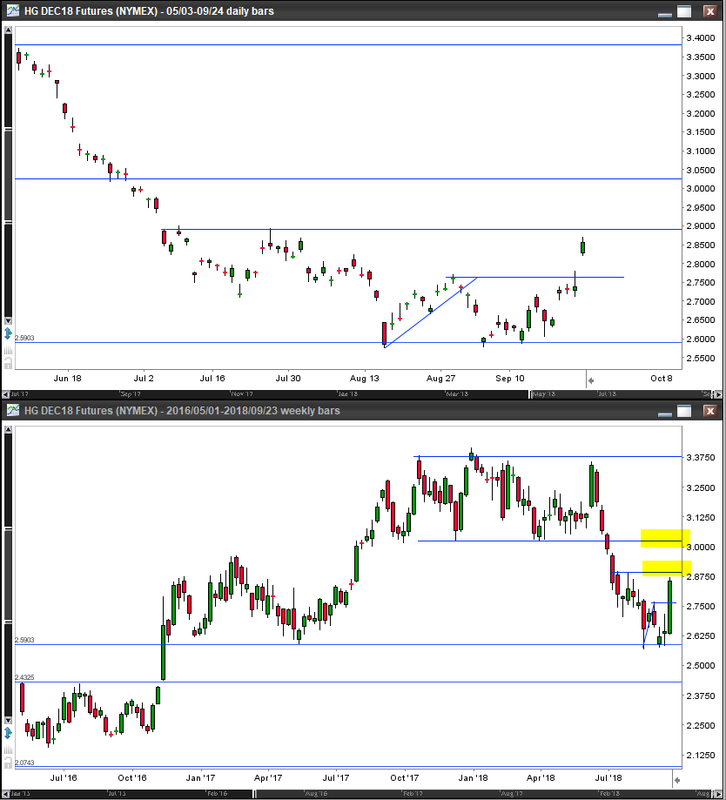 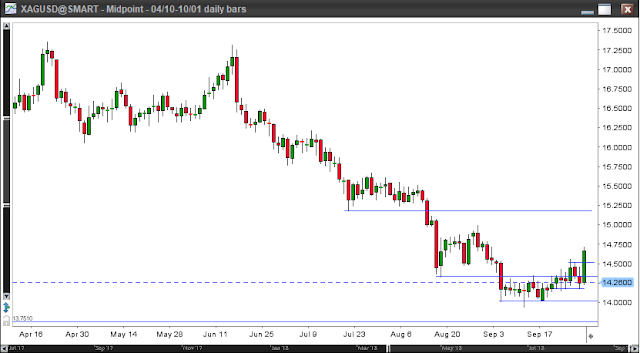 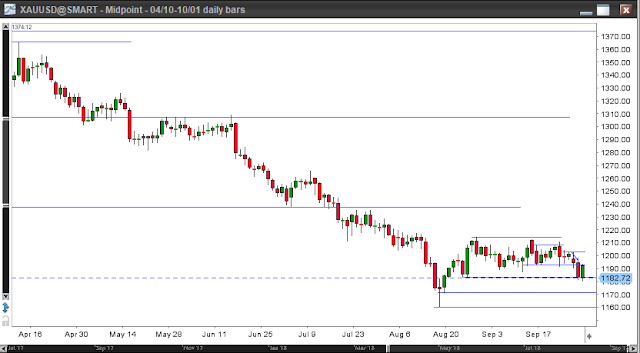 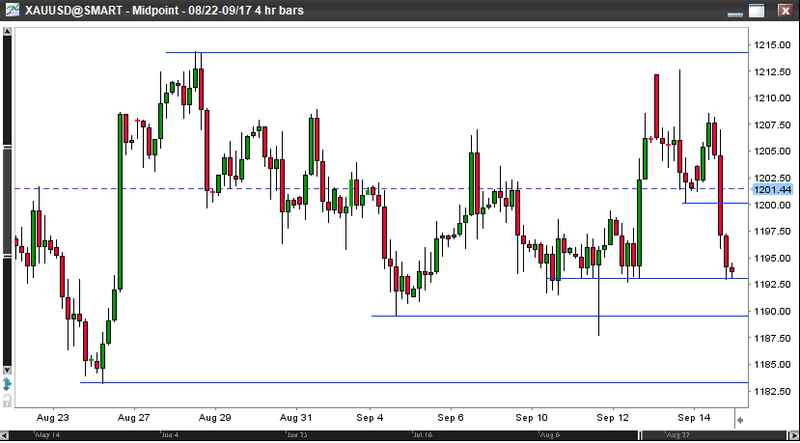 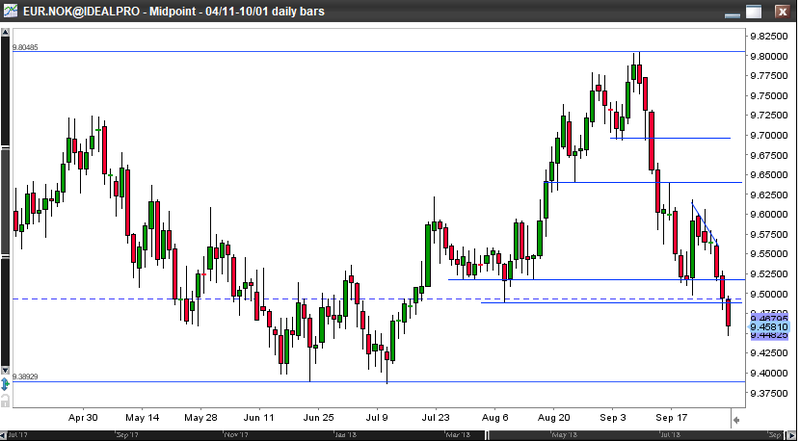 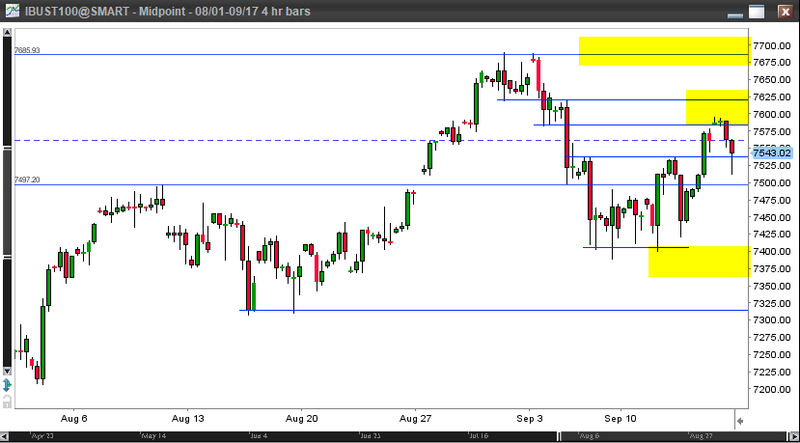 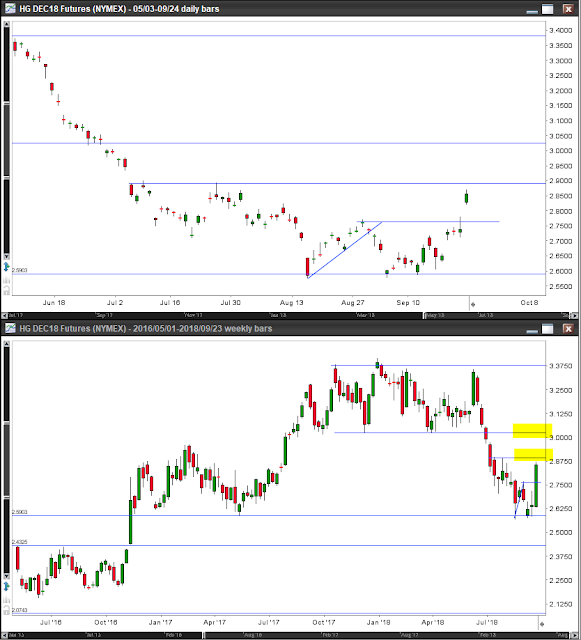 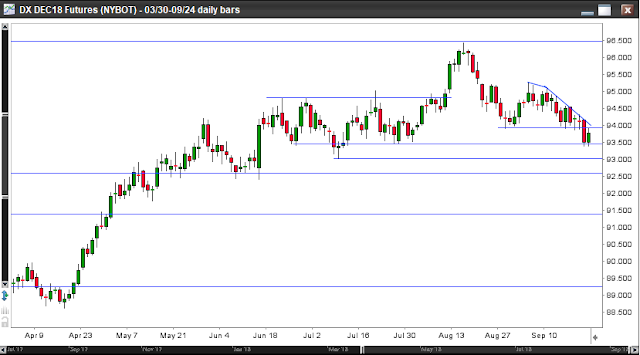 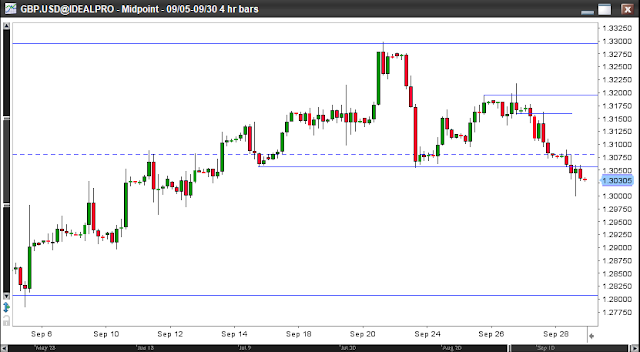 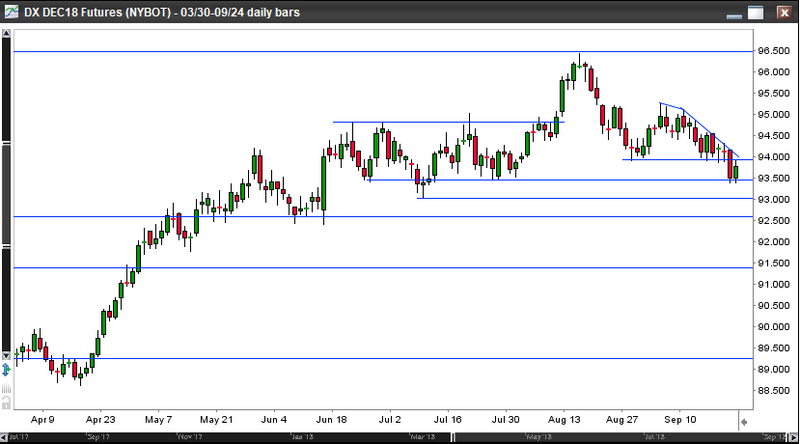 Gold climbed to 1212 but quickly retraced back to 1192.50 with a sharp move on Friday. 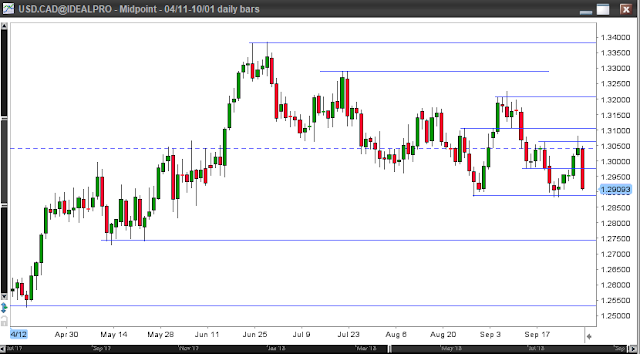 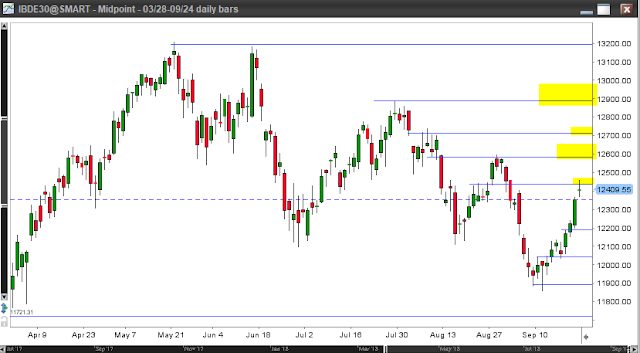 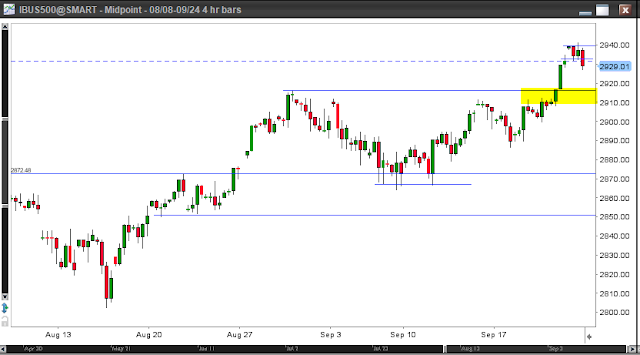 DX bounced off sharply from the 94.00 support on Friday.